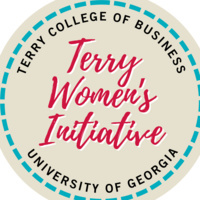 The Terry Women’s Initiative Student Conference is a half-day conference designed to empower and inspire students from all majors and provide valuable takeaways on leadership, networking, the job search, building confidence, and so much more! We will have speakers from Global Pay, Finesse Worldwide Inc., Goldman Sachs, Mailchimp, TaxConnex, and the UGA Athletic Association. Don’t miss out on the third annual Terry student conference! Sessions include “The Job I didn’t Want”, Business Etiquette, “Amplify Your Potential” panel, and a “Professional Runway” lunch session.